Blessed with immense natural beauty Bhutan is a small country situated between the Tibet Autonomous Region of China and India. 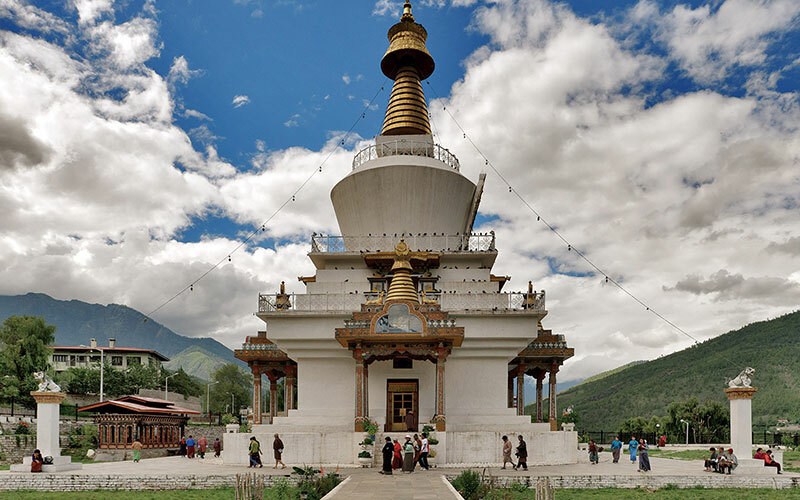 Bhutan is known to be the only Vajrayana Buddhist nation in the world. The teaching of this Buddhist sect seems showing a strong influence on routine activities of people living in there. “The Last Shangila’ is another name to kingdom of Bhutan for pleasant society and sublime natural beauty. The country has developed the philosophy of Gross National Happiness that is unique to anywhere in the world. Under the idea development is not measured on the basis of happiness but not just based on gross domestic product. Still a third world country the subsistence farming is practised in most of the Bhutan. Bhutanese people primarily consist of the Ngalops and Sharchops, called the Western Bhutanese and Eastern Bhutanese, and Lhotshamphas (Southern Bhutanese), a people of Nepalese Gurkha Origin, respectively. Along with natural beauty, Bhutan is also known for its reputation established as a premier destination for adventure sports. Now it is deemed among adventure seekers a ideal destination for Hiking, Trekking, Kayaking, Mountain Biking and Fishing. Today we will drive to Punakha and Wangdi. Upon arrival, check in hotel. Later visit Punakha Dzong; built by Shabdrung Ngawang Namgyal in 1637, this sacred Dzong has played a prominent part in the country's life in both civil and religious fields. Punakha Dzong is open to visitors only in summer when the monk body has moved Thimphu. Overnight stay is at hotel. After breakfast, drive to Thimpu en route visitng the sacred Drajanchu monastery at Khotokha, Khotokha is one of the most beautiful valleys in Bhutan surrounded by mountains. Later continue our drive to Thimpu, and check into your hotel. 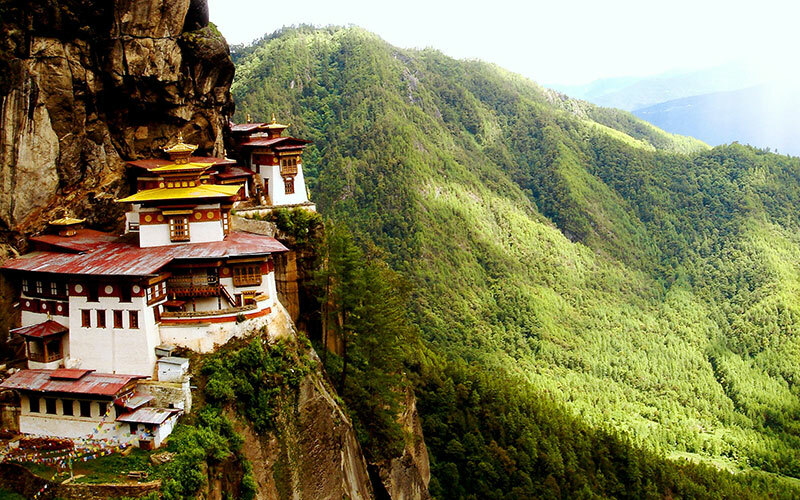 Today, we drive to Paro, and take a short trek of Taktsang monastery which is about 10 kms from Paro. Evening is free for own activities, spend overnight stay at hotel. Today you will be transferred to the airport to board your flight for onward destination.